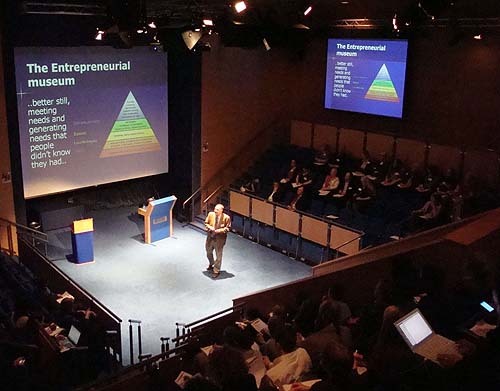 I saw a fascinating series of tweets with the hashtag #entmuseum popping up a couple of weeks ago, and thought all our blog readers who are keen to promote their venue would find this conference writeup interesting. Thanks very much to Rachel Cockett for taking the time to share her notes! This is a quick whirl though the Entrepreneurial Museum conference (9 February 2011), drawing on the thoughts of the speakers, delegates, and tweeters (those who were there, and those who listened in). Hosted by broadcaster Arti Halai, the conference was kicked off by the always entertaining CEO of Thinktank, Nick Winterbotham, followed by a world tour of museum innovation from futurologist Rohit Talwar. Then it was off to master-classes on PR strategy, Marketing and Thinking like an Entrepreneur. Back in the theatre John Donnelly lead us on a gallop through his unorthodox CV. His enthusiasm for football didn’t work for all, and I’d hazard a guess that most delegates aren’t the Holiday Hypermarket demographic, but the successes spoke for themselves. The story of Chasetown FC – the small guys making it big – should be one every museum can learn from. After lunch we received a fast paced lesson in working with the media by TV professional Surrey Beddows. Followed by business guru Geoff Burch who led us through a hilarious (and slanderous) insight into his life and work. Burch introduced us to “the line of being a bit crap”, if we stagger over this line, most customers will tick the Satisfied box. However, we should try harder: we want them ECSTATIC! Then they will come back again and again. Finally he asked us to consider whether our staff were ambassadors or assassins? Rounding off the day Steve Miller, CEO of Ironbridge Gorge Museum Trust, spoke of how they had responded imaginatively to the ideas of the staff on the frontline. All the speakers enthused about the inspirational qualities of museums, suggesting a range of practical ideas to increase footfall, such as hosting business networks, creating local ambassadors, and ways to make your people part of your vision. It is clear that the mind set is everything, typified by the suggestion to work with students, “who haven’t learnt what can’t be done yet”. The message was clear. The entrepreneur has a free mind, does things because they want to, does things they believe in, and accepts failure. Entrepreneurs don’t make excuses, they get over it, and get on with it. If this isn’t you then you’re NOT an entrepreneur but you can still take some of lessons away. 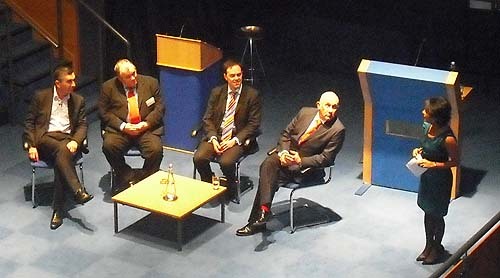 The conference wasn’t just inspirational “guruing” – there were things we could take away and do. If you were there, you may be thinking “This isn’t the conference I was at!” Well, if our post-conference evaluation shows us anything, it is that people experience things differently. If you were there we hope you heard and saw something you liked. The conference was the brainchild of Bob McDermid. Event management by Paulette Francis-Green, programme by PGS Limited. Nitpicking by yours truly. Thanks to Heather, Michael, David and Rafeela for their work on the day, and to Thinktank, for great service and good food (we will come back!). Subsidised sleepovers – could they work for you? 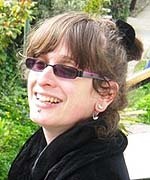 Posted on February 11, 2011 by Culture24 | Comments Off on Subsidised sleepovers – could they work for you? 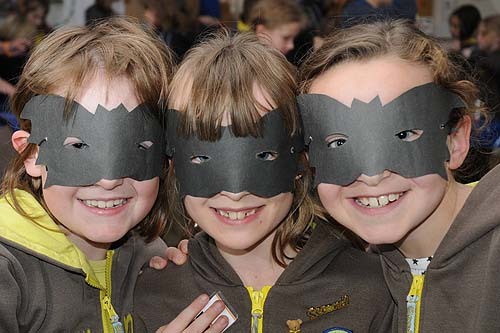 Is your venue considering running a sleepover for Museums at Night? Our 2011 campaign media partners Sky Arts are offering ticket-buy support to help arts and heritage venues stage sleepovers over the weekend of Friday 13th – Sunday 15th May 2011. Sky will subsidise a ticket buy, enabling museums, galleries and heritage sites to offer discounted sleepover tickets priced at £3 to the public. We’re not looking for definite commitment from venues at this stage – we’d just like to gauge how popular this opportunity may be. If this is something you would be interested in, please email Rosie (rosie@culture24.org.uk) with your expression of interest by the end of the day on Tuesday 22nd February. Comments Off on Subsidised sleepovers – could they work for you? Take part in our Museums at Night survey – you could win a £50 Amazon voucher! Posted on February 10, 2011 by Culture24 | Comments Off on Take part in our Museums at Night survey – you could win a £50 Amazon voucher! Here’s a good opportunity to tell us what you think about Museums at Night! Arts Council England and Culture24 would really appreciate you taking 5-10 minutes to answer this straightforward survey about the campaign. We value your opinions and thoughts, and they will help shape the future of Museums at Night. If you can finish the survey by 5pm on Wednesday 16th February we will enter you into a draw to win a £50 Amazon voucher. Please click on the link below to go straight to the survey. Thanks very much – we really appreciate your feedback! 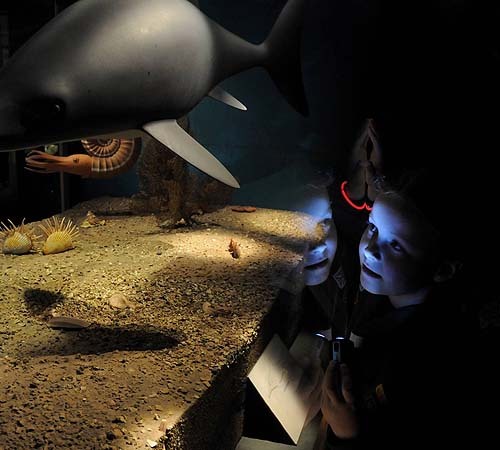 Comments Off on Take part in our Museums at Night survey – you could win a £50 Amazon voucher! 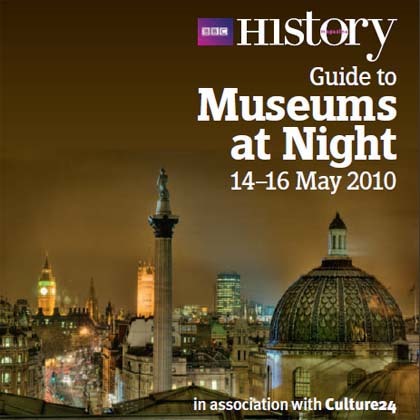 Venues: Your events could feature in BBC History Magazine’s Guide to Museums at Night 2011! Posted on February 8, 2011 by Culture24 | Comments Off on Venues: Your events could feature in BBC History Magazine’s Guide to Museums at Night 2011! For the second year running, Culture24 is working with BBC History Magazine to produce a brochure for Museums at Night 2011. The brochure, which is an A5 sized printed guide, will give participating arts and heritage venues a unique chance to have their event mentioned in print in a publication distributed widely across the UK. Written in engaging advertorial style, rather than printing complete event listings, the Guide will round up events by theme to give a flavour of the diversity of the Museums at Night weekend (May 13 – 15). We can’t guarantee that all events will be mentioned, but people who pick up the Guide to discover what the campaign is about will be encouraged to look up the complete Museums at Night listings through the Culture24 website, to find out what’s on near them. The Guide will be distributed to every reader of BBC History Magazine together with Tourist Information Centres around the country. Participating venues will also receive Guides to distribute. Last year, many museums and galleries used the Guides to raise awareness of the campaign in their local communities by placing them in local libraries and shopping centres. We were also delighted when several venues that couldn’t stage an event still offered to put out Guides for their own visitors. Deadline: Register your Museums at Night events in the Culture24 database by Thursday 17 February for the chance to be included in the Guide. If you have any questions, please contact me on 01273 623336 or email rosie@culture24.org.uk. Comments Off on Venues: Your events could feature in BBC History Magazine’s Guide to Museums at Night 2011! Museums at Night FAQs answered – on video! 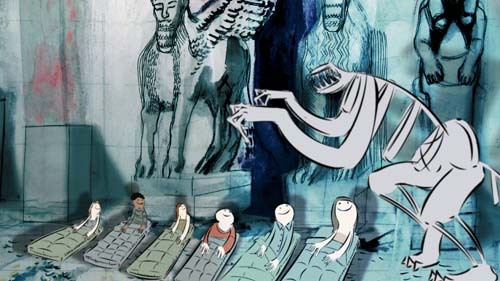 Posted on February 7, 2011 by Culture24 | Comments Off on Museums at Night FAQs answered – on video! I love talking to people, and it’s great that so many people ring me up and email me to ask about the Museums at Night campaign. Many of these conversations cover the same ground, however, so I thought I’d make a video to answer some of my most frequently asked questions – as well as introducing this year’s BBC History Magazine Guide to Museums at Night. Yes, it’s back for the second year! Register your Museums at Night events in Culture24’s database by Thursday 17th February for the chance to be included in the Guide. Any questions that I haven’t already answered? Would you like to see more videos about the campaign? Let me know in the comments, or as always, you can contact me at rosie@culture24.org.uk or on 01273 623336. Comments Off on Museums at Night FAQs answered – on video! Our latest guest post comes from Emma Wood, who explains how North Lincolnshire Museum planned and ran their first ever Museums at Night event last year. North Lincolnshire Museum organised their very first Museum at Night on May 14, 2010. Usually the museum closes at 4pm, so for one night only we decided to stay open until 8pm. Promoted as a family fun event, we dressed up the museum with a spooky theme and organised three different ghost hunts around the museum’s galleries and grounds. We offered free glow sticks to every child as they arrived, and arranged the ghost tours for organised groups. Six Rainbow groups booked onto these tours, along with many other children visiting with their parents. Feedback was positive and visitors commented on how much they enjoyed the event, especially being able to watch an episode of Relic: Guardians of the Museum on DVD once they had taken part in the ghost tour. In addition to our free ghost trail sheets, we also promoted and sold a lot of spooky merchandise and haunted local books from the gift shop. On a usual half term day (10am-4pm) we can get up to 100 children in the museum, so we were delighted with our Museums at Night visitor numbers: during 5pm and 7pm we counted 281 visitors, of which 179 were children. It was lovely to be part of a campaign that created national interest in a fun way! This year we intend to build on the success of our 2010 event and involve more museum staff in our Spooky Family Fun Night, so that we can deliver some more free activities as part of the evening. 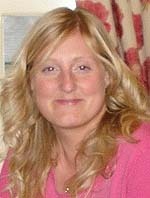 Emma Wood is Visitor Service Manager at North Lincolnshire Museum.